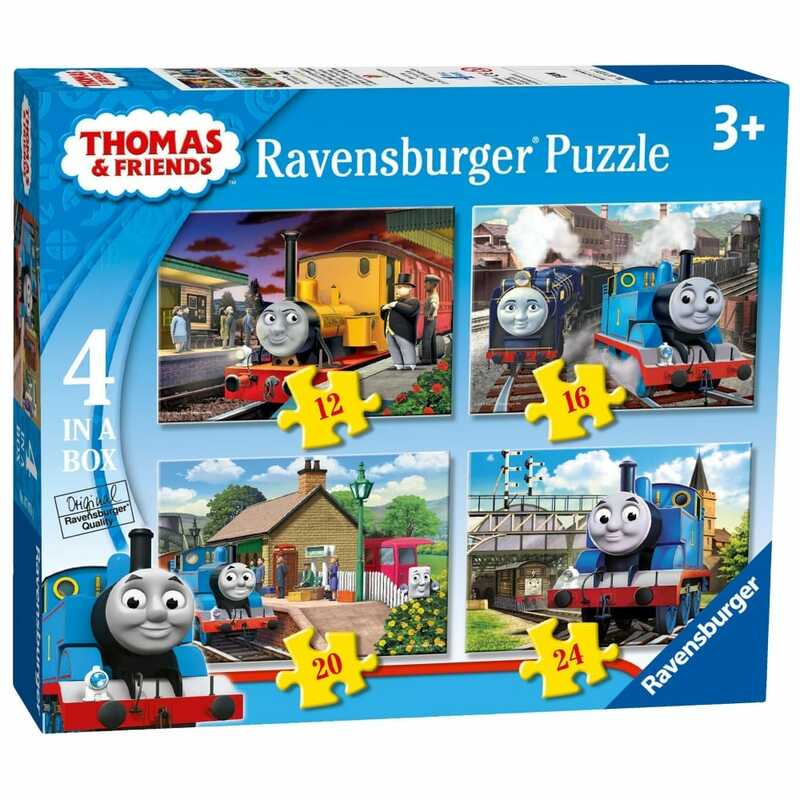 Four different puzzles of Thomas & Friends in one box, they feature all your favourite engines. Four bright and jolly Thomas and Friends jigsaws that young fans are bound to enjoy pieces together. Each of the puzzles feature favourite characters shown within colourful and interesting scenes. The characters featured are Percy, Charlie and Thomas at different railway stations. The set is ideal to use at home or with different aged children in a playgroup.